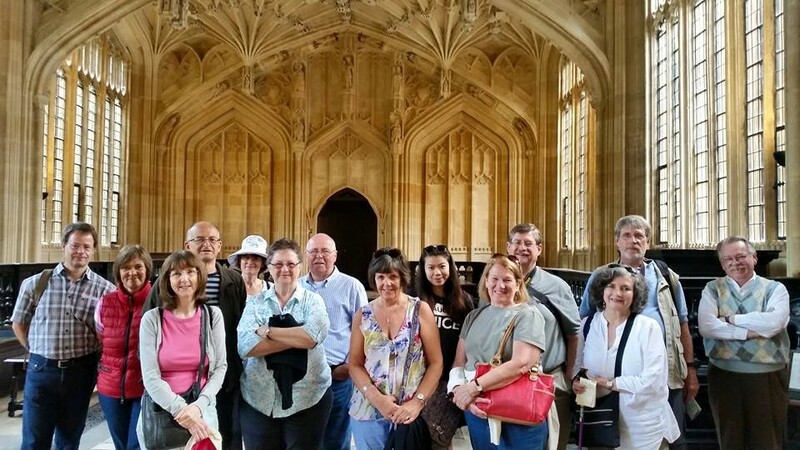 Join fun and informative Premium Walking Tour of Oxford University to go inside Historic Colleges, Old Chapels, 13th Century & 15th Century Lecture Halls, Exam Hall, Old Graduation Venue & Dining Hall for Free with University Educated Guides. Tour Timings- 11 am, 2 pm & 3.45 pm Everyday. Uncover the inspiring stories Oxford University and Oxford City while visiting the old colleges with huge gates and high stone walls. 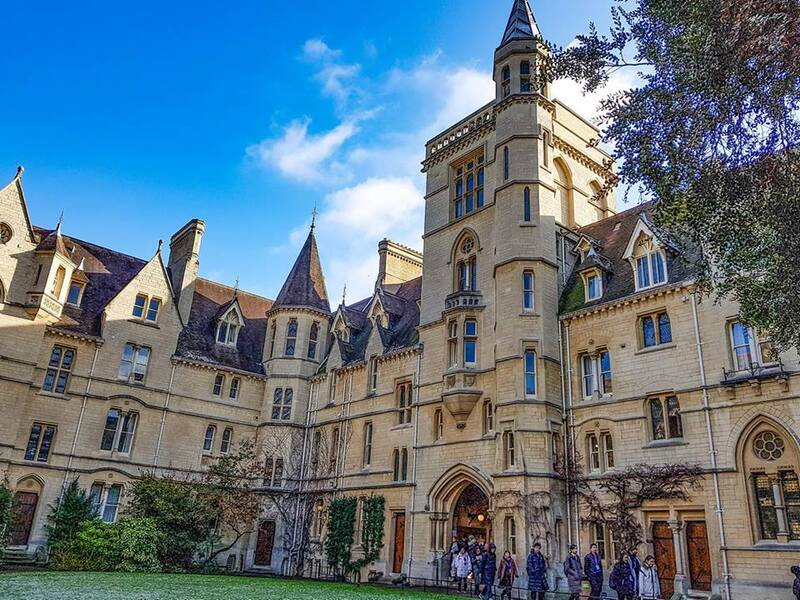 Discover the Oxford University traditions and understand how students live and study today and learn why Oxford is called the City of Dreaming Spires. 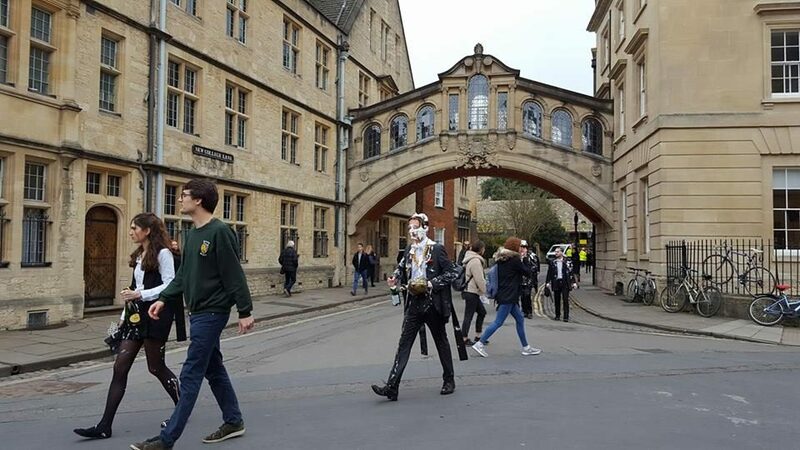 Your friendly, knowledgeable and enthusiastic guide will show you around the ancient colleges and with cobbled streets, you will be entertained on the way with unknown anecdotes about the many Oxford University famous students and academics who have walked down these same lanes in times gone by. Make the most of your time well spent in Oxford - Go behind the closed doors of oldest Colleges, Historic Chapels, School of Divinity (15th Century medieval lecture hall), visit beautiful Dining Hall &The Old Bodleian Library Quads. Our guides will also discuss about the Inspiring History, Unique Traditions & Student Life of Oxford University. 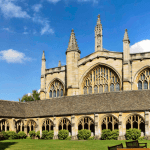 Visit Harry Potter filming locations, see Inspector Morse sights, discover Narnia Inspiration, explore Alice in Wonderland site, visit Mordor inspiration of Lord of the Rings, uncover most Haunted site in Oxford with Premium Scholars Walk Tours. 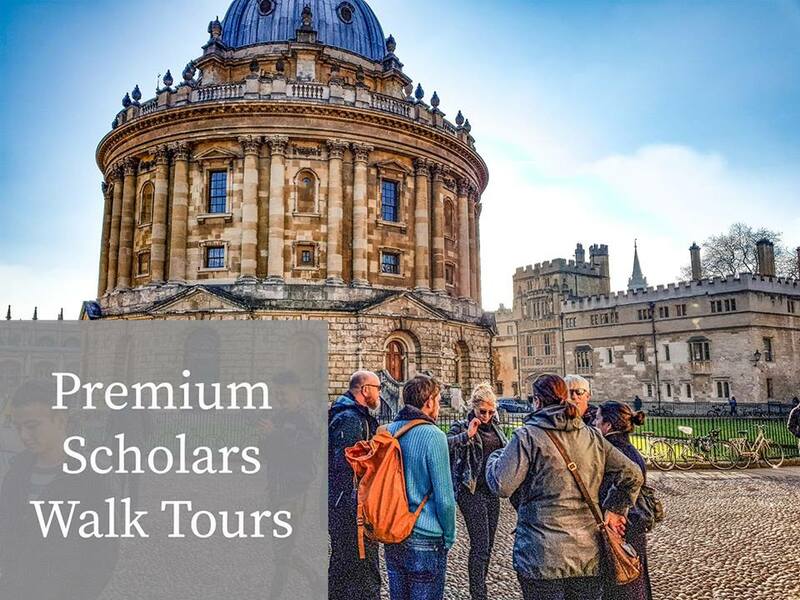 Premium Walking Tour of Oxford University, Old Bodleian Library & City tour Price – Yes It’s Free To Pay As You Like! Other tour companies charge £14 to £16 per person for this same tour. Free To Pay As You Like, is fair pricing for visitors, where you pay the price that you are confident in. Is there any entry fee for going inside the historic Oxford University sights? 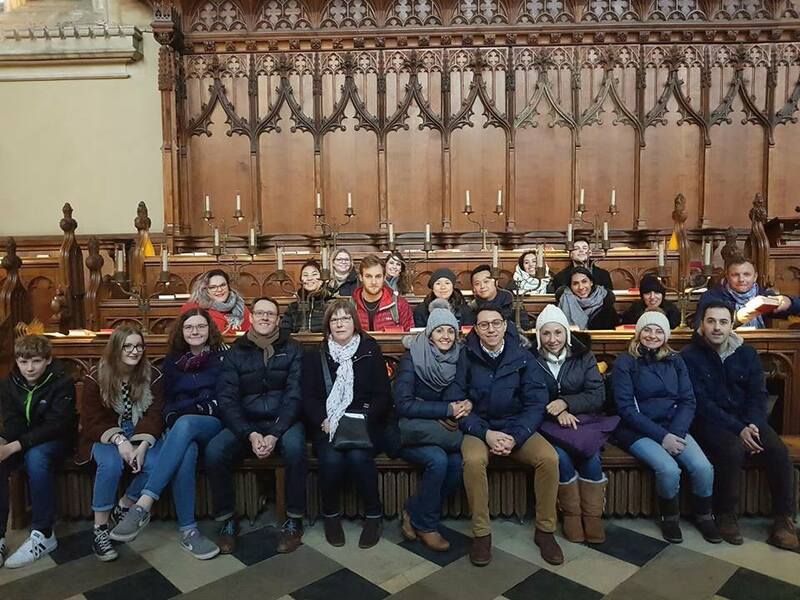 Our tour includes visiting the old colleges, old lecture halls, old graduation venues, the old exam school, the old Bodleian library, the Weston library, old school quads where lecture were given earlier and historic chapels for free. 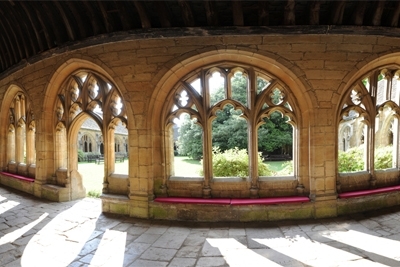 Only £2 entry fee is optional for visiting a Medieval Lecture hall known as School of Divinity which was also used in Harry Potter movie. When you can join this Premium Walking Tour of Oxford? Tour Timings: – 11 am, 2 pm & 3.45 pm Everyday. Where does this Premium Walking Tour of Oxford starts from? Our guide will come 10 minutes before the tour starts at the tour starting point. For Booking please fill our Book Now Form or Contact Us Form. Please call us or text us for booking on this number 07412937003. Tour Duration - Our tour takes between 90 minutes to 2 hours approx with less then half-a-mile of walking and seating arrangements to leave you with happy feet. Information for Tour Groups - Our Free To Pay As You Like Tour is for small groups. All groups of more than 6 people or school groups or student groups or any commercially arranged trips, must make booking through contact us form or call us on 07412937003 and ask whether your group can joining our tour. Visit Narnia through the wardrobe. Discover the inspiration of Alice in Wonderland. See J. R. R. Tolkien's world of Middle-earth, Mordor. Go inside Harry Potter filming locations. Follow the footsteps of world famous Inspector Morse. Visit Harry Potter filming sites, Chronicles of Narnia, Alice in Wonderland & Lord of the Rings sites on a Free Tour. Visit Inspector Morse filming sites with us. Since 2012, Premium Scholars Walk Tour guides have experience of providing "Mind Blowing Tours" everyday to visitors. Premium Scholars Walk Tours guides are passionate about Oxford's inspiring history. Your friendly, knowledgeable and enthusiastic Guide will be highly trained and University educated. Premium Scholars Walk Tour guides will be happy to help with any questions. Our tour guides will cover all the interesting topics about Oxford’s glorious past, historic landmarks and dark secrets. With our University-educated guides, you will walk the walk through thousands years of Oxford’s history from early Saxon time of small Oxford Town to its present world famous city of learning. Our guides will lead you through historic landmarks of Oxford’s amazing historic stories. Our guides are University educated with years of guiding experience and local history knowledge. 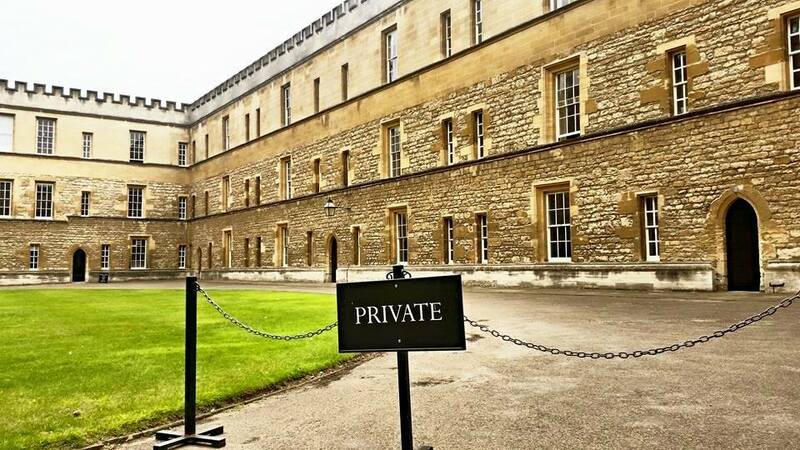 With our guides you can go behind the closed doors where Oxford University members can go. Which sights will be covered on a Premium Scholars Walk Tour and what you will see? 1) Saxson Tower (1040 AD), 2) Exeter College, 3) School of Divinity (15th Century medieval lecture hall), 4) Christ Church College, 5) Jesus College, 6) All Souls College, 7) Trinity College, 8) Blackwell Book Shop, 9) Museum of History of Science, 10) Sheldonian Theatre, 11) The Old Bodleian Library and Weston Library, 12) Old Oxford University Printing Press, 13) The Bridge of Sigh, 14) The Old School Quads, 15) The Radcliffe Camera, 16) Brasenose College, 17) Official University Church of St Mary, 18) The picturesque Oxford High Street, 19) Historic Pubs, 20) Wadham College, 21) New College, 22) St John's College, 23) Hertford College, Museum of History of Science, 24) Museum of Natural History, 25) Famous Alumni, 26) Historic Chapels, 27) Old School Quads, 28) The Tower of Five Orders, 29) Two Oldest Graduation Venues, 30) School of Astronomy, 31) School of Medicine & much more. 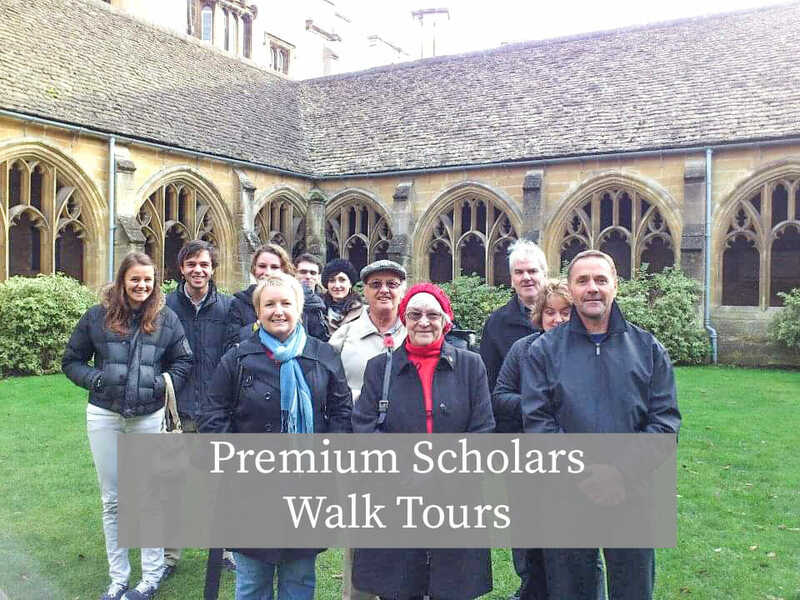 Visit 800 years old Oxford University sites with Premium Scholars Walk Tours. Why we do not charge £14 per person like others? Our guides are highly passionate about Oxford’s history. We have been giving excellent tours since 2012 everyday, otherwise we would have been long gone by now. We believe that all the visitors visiting Oxford should know about the history of Oxford. Where does this tour starts from and when you can join this Premium Walking Tour of Oxford? Our tour starts at 11 am, 2 pm & 3.45 pm Everyday. Please fill our booking form for more information on where the tour starts from and booking is not essential. Premium Scholars Walk Tour guide will come 10 minutes before the tour starts. Please do not go inside the St Michael's Church or Shops near Ship Streets to ask about our tour because people sell tickets for other tour guides. Meet your friendly, knowledgeable and enthusiastic Guide who will be highly trained guide and travellers who are visiting Oxford. Walking distance - Your tour will cover less then half-mile of walking (stopping every so often to admire the architecture and learn about the quirky university traditions) and not travelling further than a 10/15 minute walk away from the City centre and St Michael's Church Entrance Gate. Taking Pictures are allowed when we go inside the 13th Century Oldest Lecture and Examination Hall of University of Oxford and all other sites. Weather - Tours go ahead whatever the weather, however we do advise you to come prepared and warmly dressed for winter with comfortable footwear. Parking - We recommend the Park and Ride service or Westgate Car Park on Thames Street, Oxford OX1 1TR. Please allow at least 30 minutes for the journey into the City Centre. Feel free to ask question to your friendly guide and get tips for further planning interesting things to do in Oxford after our tour. Take pictures of iconic Oxford University sight's during the tour. Discover Oxford’s unknown historic traditions during Premium Walking Tour Of Oxford, visit exhibitions, museums and beautiful gardens. Visit the famous colleges and to take some memorable pictures. 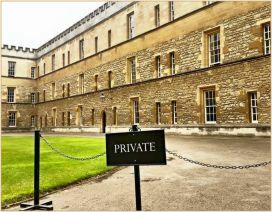 Premium Scholars Walk Tour will make your time well spent in Oxford and walk cobbled stones paths. Find What to do in Oxford? Learn about the unknown traditions and historic events which influenced the formation Oxford University. Our guides will enlighten you with detailed history of Oxford University and City. Our Oxford Walking tours includes a visit inside School of Divinity and famous St Mary’s the Virgin with Gothic style of architecture. 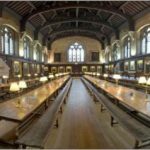 Walk the halls of one of the most historic and world famous Oxford University on a 2 hour premium walking tour of Oxford University, City & The Bodleian Library. 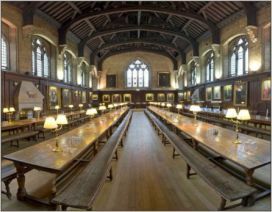 Go inside the amazing oldest and famous colleges with insights of student life and their experience in Oxford University. See all the famous landmarks in the heart of the University like Bridge of Sighs, Radcliffe Camera, University Church of St Mary, Christ Church and Trinity College. Learn about famous students of Oxford University, hear anecdotes and experience secret traditions. Discover famous Oxford University landmarks like Bridge of Sighs, Radcliffe Camera, Christ Church College, Trinity College, University Church of St Mary. Explore magnificent Bodleian Library, Old School Quads, School of Divinity, Sheldonian Theatre, Oxford University Printing Press, The New Bodleian Library. Blackwells bookshop, The Emperor’s Heads, 1000 years old city wall, Oxford Martyrs, Museum of History of Science, All Souls College, Exeter College, Jesus College, Brasenose College, New College, Balliol College, Duke Humphrey’s Library, Harry Potter filming locations and much more! Also visit the sight where the most powerful Archbishop of Canterbury was burnt alive by the Queen Bloody Mary. Who can join this tour and what you can expect? Everyone can join this tour. 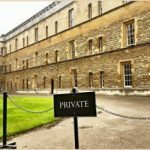 This 2 hour Premium Walking Tour of Oxford is designed to take you behind the high walls and closed doors of world famous Oxford University. 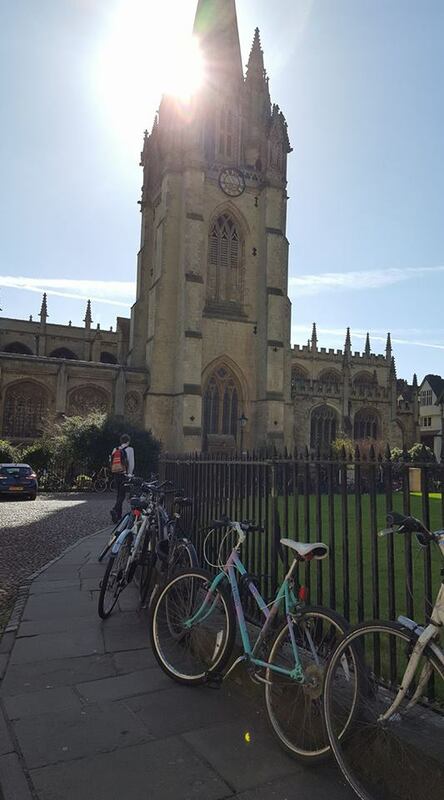 This 2 hour Premium Walking Tour of Oxford University departs everyday at 11 am, 2 pm & 3.45 pm Everyday outside St Michael Church Entrance Gate on Ship Street opposite Pret on Ship Street in central Oxford. Using University Graduates as guides, the walking tour unfolds the drama behind the ancient university in a interesting and enjoyable way. 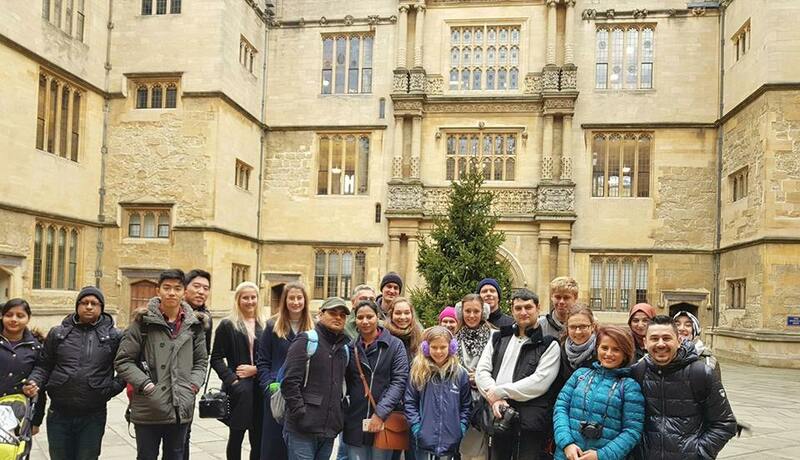 With small intimate groups, the guides give special attention to everyone while answering all the questions and concentrate on the diverse history of Oxford University. Scholars Walk Oxford Walking Tours have many sites which can be very modern and sometimes hundreds of years old. The most important thing that we liked about our guide was that our guide was University graduate and very friendly. Our guide Allan took us inside many beautiful colleges and commentary was also very interesting due to facts about the colleges and unusual traditions.There is no other better way of learning about the Oxford’s history then joining Scholars Walk Tours. Our guide was very knowledgeable. Sometimes too much history becomes a little boring but our guide was managing the group of different ages very well. 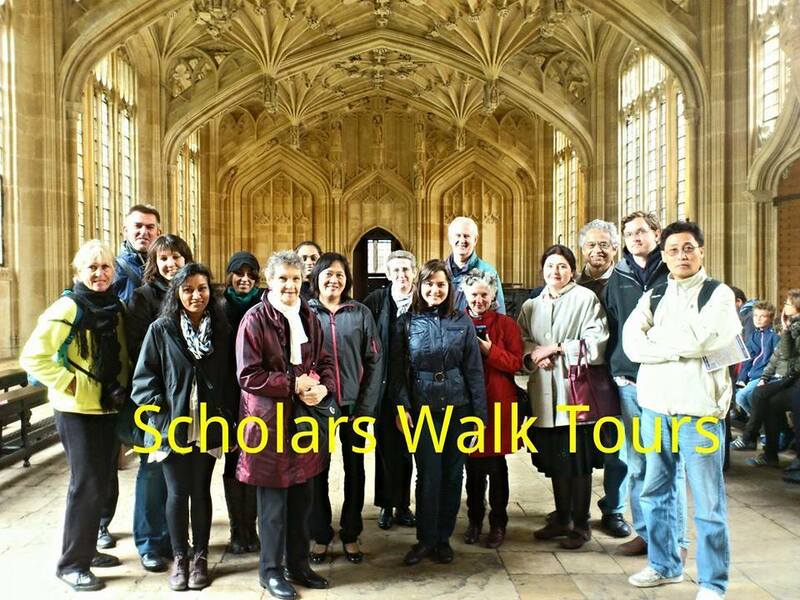 Scholars Walk Tours guide helped many members of our group to realise how Oxford University works? Our knowledgeable guide also discussed about the rivalry between the colleges and local gossip with many unknown Oxford University secrets. There was lots of information about J.R.R. Tolkein, C.S.Lewis and Harry Potter. Our guide took us to Tolkein’s college in Oxford University and we also visited Harry Potter filming location. This tour is a must for everyone who will visit Oxford. Great Experience with Oxford Walking Tours guide who was knowledgeable about local Oxford history and also charmingly funny. Our guide introduced us with excellent Oxford student experience, urban legends and university culture. 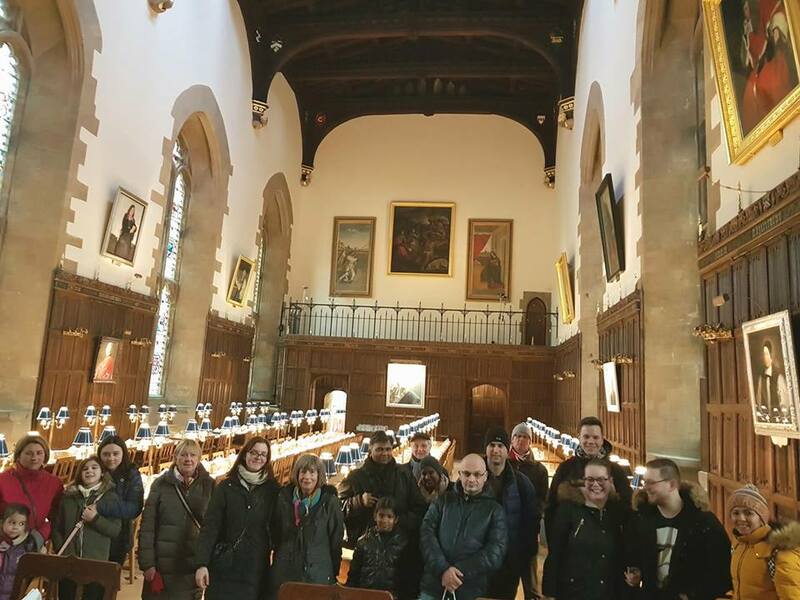 We also learned about British history of Oxford, especially during the English civil war and time flew very quickly.We visited many interesting sights like The Old Bodleian Library with lots of details about student life in Oxford University and student traditions. 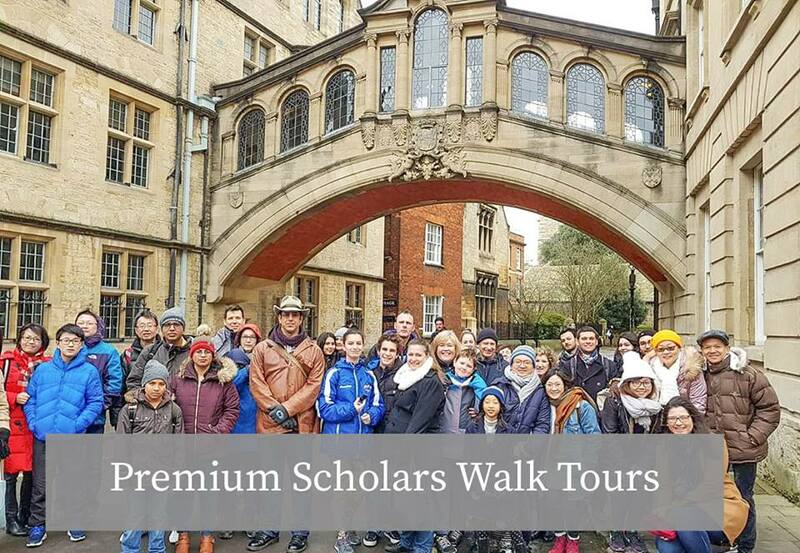 With Scholars Walk Tours, we enjoyed many great sights with historic tales of Oxford students and our guide was excellent with people in our group. Our guide gave all the answers and we were all very happy. We took lots of picture with the statue of the Third Earl of Pembroke and also visited School of Astronomy. When we visited the Old Schools then we felt like students of Oxford University and we experienced how students felt hundred of years ago. We also saw School of Medicine and historic School of Rhetoric. All the text on the top of these schools were written in Latin with faces of old students next to entrance. Discover Oxford’s famous landmarks according to your own interests, set your own itinerary according to your own liking and no shoulder rubbing with strangers. The Walking Tour of Oxford tour will be tailored to what you to see and know about because you are the boss on Premium Private Walking Tour of Oxford. 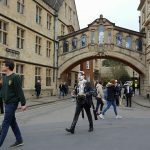 Free Magical Walking Tour of Oxford Harry Potter fans and Muggels are welcome to walk on the footsteps of Harry Potter. 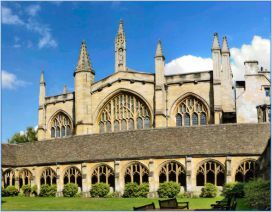 Visit the Harry Potter sites in Oxford. 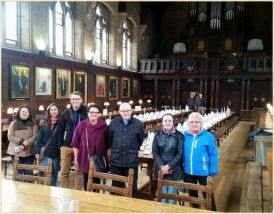 Our Magical tour of Oxford also includes visiting The School of Divinity and beautiful dining hall in a historic college. If you want to discover the history of Oxford, the best way is to go for a walking tour around Oxford thus populating your mind with famous people and long lasting old traditions.